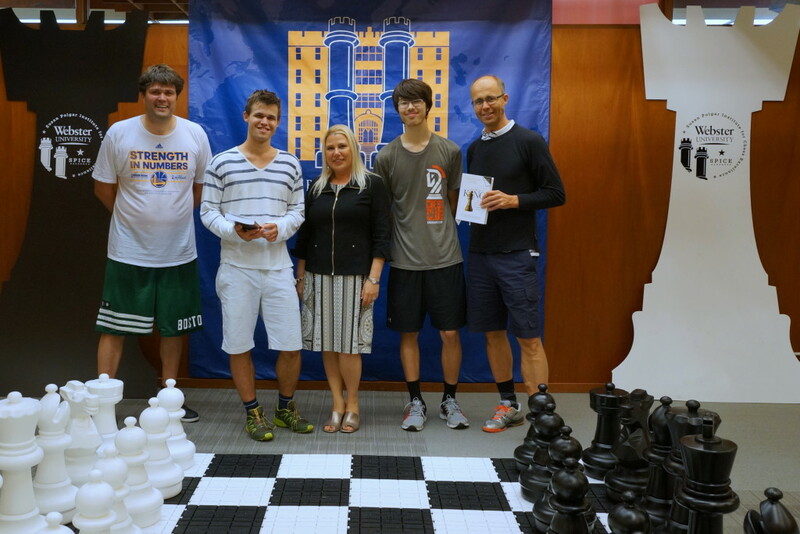 What did world chess champion Grandmaster Magnus Carlsen do after he beat Grandmaster Wesley So in the fifth round of the Sinquefield Cup at the end of August 2015? Magnus, accompanied by his father and Peter Heine Nielsen, visited Webster University for a game of basketball. Then, they visited SPICE – the Susan Polgar Institute in Chess Excellence, where they checked out the world class chess library. Look carefully at the picture: Magnus’s father is holding Rich As A King. For more about this special visit, click here.